Volkswagen is one of the most popular passenger car maker across the world and its portfolio is huge with a wide range of models. 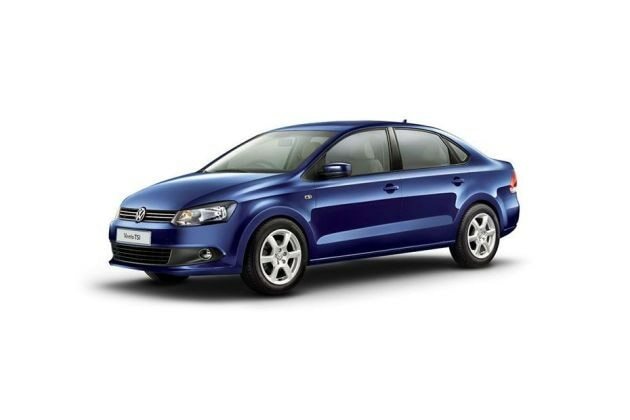 Volkswagen Vento is one such trendy sedan model front this German automobile company and it is available with petrol and diesel engine options. Volkswagen Vento Petrol Comfortline is the mid range petrol variant that comes equipped with a 1.6-litre, In-line, DOHC engine, which is powerful yet fuel efficient. The company claims that the vehicle has the ability to give away a decent mileage of about 12.02 to 15.04 Kmpl of peak mileage, which is rather good. Arguably, this sedan model is one of the most stylish four wheeler available in the automobile segment with best in class fit and finish. The company has designed the exterior cosmetics of this vehicle with precision and managed to obtain a close finish on its exteriors. This resulted in getting an aggressive front profile and a stylish rear profile. Inside this vehicle, the company has used high quality scratch resistant plastic, which is one of the reasons for the plush cabin environment. As far as features are concerned, the company bestowed this particular trim with some of the most exciting comfort features include an air conditioner unit, speed related electronic air conditioner, music system and lots more. The Volkswagen Vento Petrol Comfortline trim is the mid range vehicle in its model series, but still it received most of the exterior features like its top end variant. To start with the front facade, you can find the sleek and stylish headlight cluster incorporated with the powerful halogen lamps. This cluster comes with a smoked sort of design that adds a magnificent look to the frontage. In the center there is a sleek and wide radiator grille that is fitted with horizontal chrome strips and the chrome plated company logo. At the bottom of front profile, there is a body colored bumper designed with a wide air dam along with dynamic fog lights. This will enhance the air intake while improving the visibility ahead. The side profile of this mid range trim comes decorated with body colored door handles and ORVMs on its doors. Meanwhile, the well molded wheel arches have been fitted with 14 inch steel wheels that are further covered with full wheel caps. The rear profile of this sedan is very stylish and expressive that will turn the heads on the go. The boot lid is very expressive and it is further decorated with the chrome garnished company logo and variant badge. The taillight cluster is striking and it adds a distinct new look to the rear profile. Coming to the interiors, the cabin and the environment is absolutely spacious and plush like no other sedan of its class. The German automobile company used the scratch resistant plastic inside the cabin, which will keep the inside cabin absolutely plush and adds to the luxurious feel. The seats fitted inside the cabin are very comfortable and they are covered with premium fabric upholstery. In the front cabin, you will find a very stylish dashboard that is loaded with number of equipments and utility based functions. The steering wheel inside the cabin comes with tilt and telescopic functions and it gets the chrome inserts in the form of company logo that will further improve the feel inside. There are tons of utility based functions incorporated inside the cabin, which includes an air conditioner unit, a music system, front center armrest , cup holders, bottle holders, astray and other such exciting features. The Volkswagen Vento Petrol Comfortline is the mid range petrol variant in its series and it is fitted with a 1.6-litre, In-line 4-cylinder, 16-valve, petrol power plant that can produce 1598cc displacement capacity. This engine has the ability to produce a peak power output of about 103.56bhp at 5250rpm, while generating a peak torque output of about 153Nm at 3800rpm. This powerful engine has been coupled to a 5-speed manual transmission gearbox that enables the front wheels to draw the engine power. The company claims that the vehicle has the ability to produce 15.04 Kmpl of peak mileage, which is not a bad mileage figure. On the other hand, this engine allows the sedan to reach 100 Kmph speed mark in just about 10.7 seconds and can go on to obtain a top speed of about 184 Kmph, which is outstanding. Volkswagen, the German automobile company has never compromised on the most important braking and handling aspects. The company is offering this particular trim with best in class aspects that helps the driver to gain full control. The company fitted the front wheels of this sedan with disc brakes and rear wheels with drum brakes. This proficient braking combination will offer precise braking in all conditions. On the other hand, its robust suspension system ensures the car stays stable and agile in all road conditions. Its front axle comes fitted with McPherson Strut suspension loaded with stabilizer bars, while its rear axle is assembled with Semi-independent trailing arm type of suspension system. This sedan's speed relative electronic power steering system is one of the reasons why handling of this vehicle is so simple. The Volkswagen Vento petrol Comfortline trim is the mid range variant in its series. This variant is being offered with a lot of standard along with quite a few exciting comfort features. The list of features inside this four wheeler includes a driver's seat height adjustment, air conditioning system with rear AC vents, gear shift indicator, front and rear power windows, electronic power steering, electric trunk opening , vanity mirror in left side sun blind, and various other such exciting features. Also this particular variant is being offered with a rear parking sensor, along with an advanced 2-Din RCD 220 music system with AUX-In, USB, SD Card Slot and 4-speakers. Apart from all these, you can find the power windows with comfort operation with auto up and down function and so on. Coming to the protective aspects, this particular mid range variant comes with a list of features including a remote central locking system, pinch guard safety for all 4 power windows, 3-point front seat belts, high mounted third brake light , day/night interior rear view mirror, front and rear fog lights, and an advanced electronic engine immobilizer with floating code system. Pros: Trendy body design with striking exteriors, top rated comfort features. Cons: Price tag, safety features must improve.